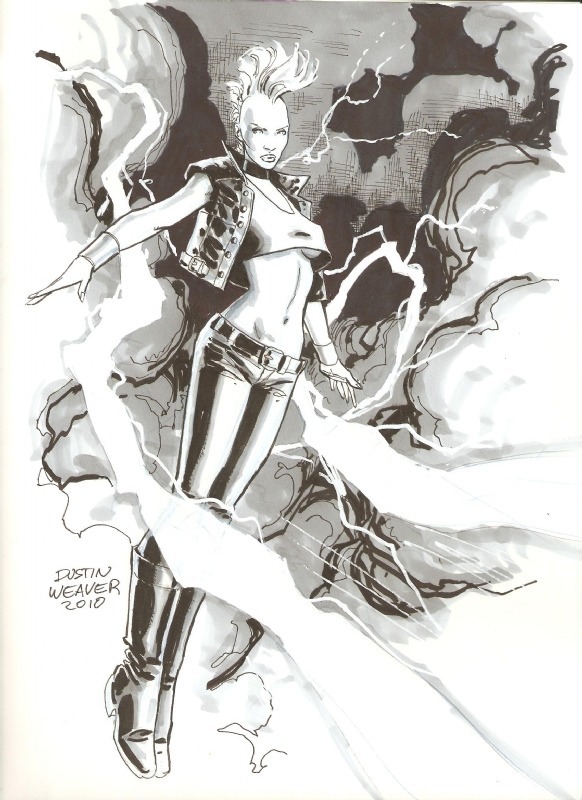 Lately, I’ve been wandering through the archives of various comics creators like Jamie McKelvie, Dustin Weaver, and Kieron Gillen. 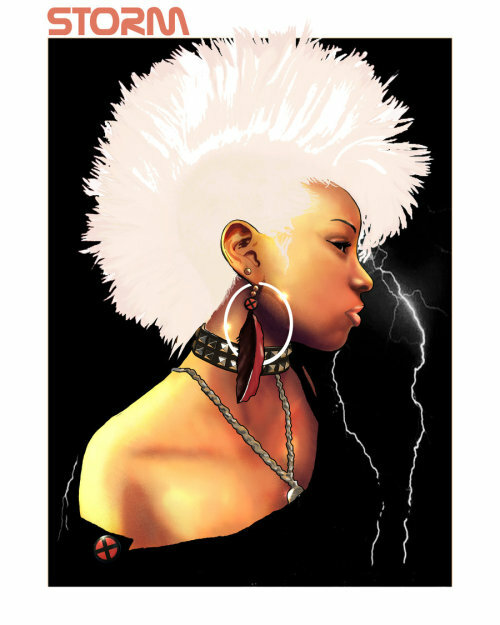 Earlier today I came across a lovely image of Ororo Munroe, aka Storm. 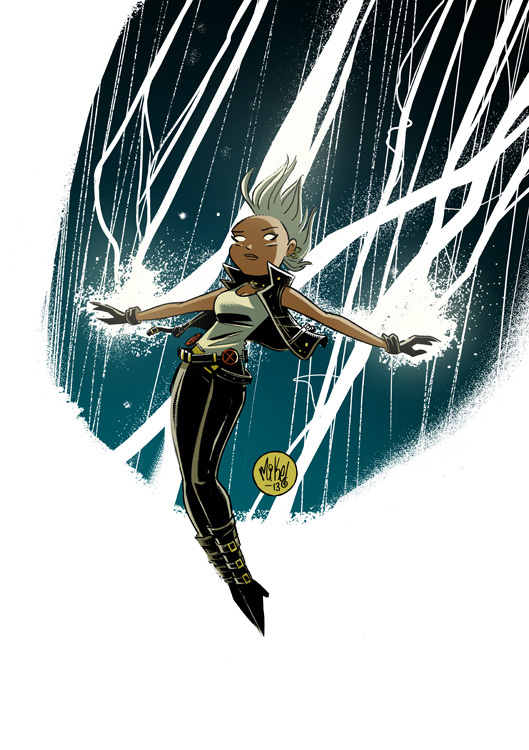 Of all the various styles Ororo has kept her hair in, this is my favorite. I’d love to see the rest of her outfit.